Does your business receive a great deal of foot traffic? If so, you could be losing out on a lot of potential customers if you don’t have the right kind of blade signs. These signs are designed to attract passersby and let them know you have something important to offer. Your blade sign does not have to be just a basic sign. In fact, Dave’s Signs can provide you with the perfect customized blade sign for your business, to attract the most attention. 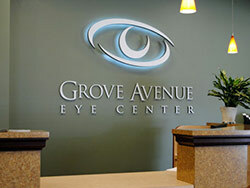 Attract traffic – blade signs are not easily seen from the store front view. Instead, they are specifically designed for those passing by. This is the best way to capture attention of people who otherwise might not stop in. Large businesses – maybe some of your stores or establishments are in strip malls. They could be losing a lot of customers if you have the same types of signs for all your businesses. For example, you might have 50 restaurants and 5 of them are inside department stores of super centers. 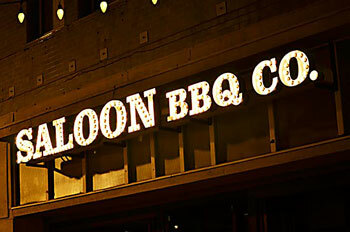 These 5 restaurants could benefit greatly from blade signs. Double sided – a good blade sign attracts attention of people coming and going. At Dave’s Signs , we can provide you with customized blade signs to fit your business. Maybe you want signs which are simple and to the point.Perhaps, you need something ornate and is more a work of art than a simple sign. We can provide you with a wide range of sign options including special neon-lit signs, guaranteed to capture the imagination of everyone passing by.